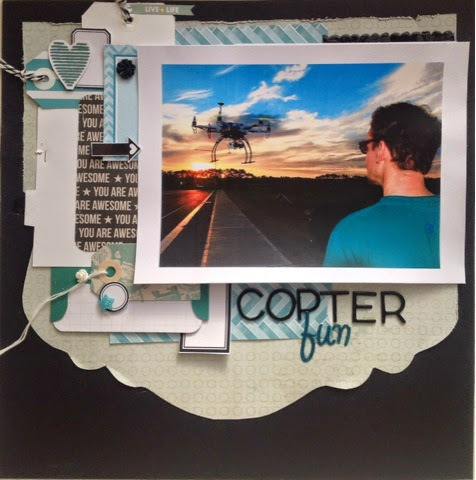 Hidden journalling says: My husband with his obsession .. Copters. Whether it be hexacopter (6 arms), quadcopters (4 arms) or anything else that he can build and fly. He has been building and flying some form of flying craft since he was a young kid (8) and I can't see it ending .. Ever. 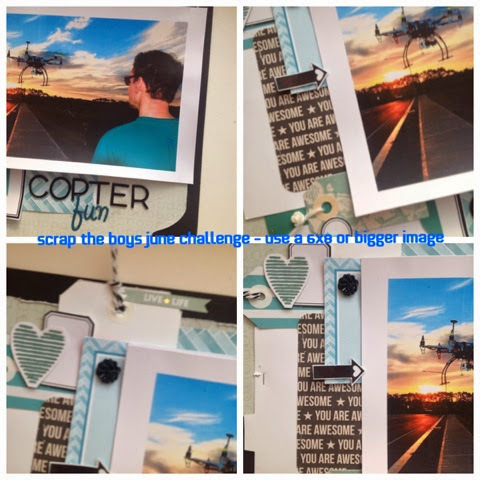 VERY super cool picture and thanks for playing along at scrap the boys. You have totally achieve the criteria with a great LO. Love all of the layers and colour scheme, fantastic work. Thanks for playing along with us at STB.